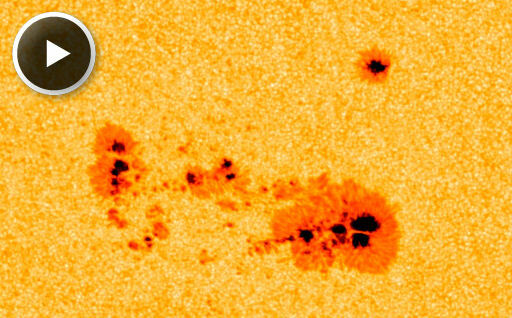 Despite its growing potential for explosions, the sunspot remains mostly quiet producing no flares stronger than C-class. Is this the quiet before the storm--or just plain quiet? Stay tuned. Solar flare alerts: text, phone. Sebastian Voltmer of Kirkenes, Norway. "I was surprised to see a brightening snake forming an 'S' - like the first letter of my name, that appeared at 22.48 pm UT." During the outburst, Jupiter was surrounded by streamers of green light. "A very beautiful event!" says Voltmer. 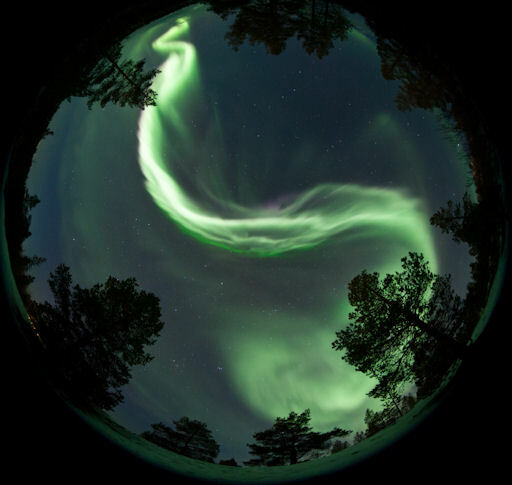 Auroras like these have been flickering and surging around the Arctic Circle for days. The source of the displays is a minor solar wind stream, which has been gently buffeting Earth's magnetic field since the month began. NOAA forecasters estimate a 14% chance of more polar geomagnetic activity tonight. Aurora alerts: text, phone. On December 5, 2011 there were 1272 potentially hazardous asteroids.